Magic Flight - light show, fire show, firework show. Magic Flight show– it is the fruit of different high-class professionals in the sphere of pyrotechnic show, light theater , culture and arts, painters and artists, which embody their fantastic ideas by using special effects, ideas, that can make any holiday or wedding. You can see bright illustrations for the organization of holidays here, in the video review. 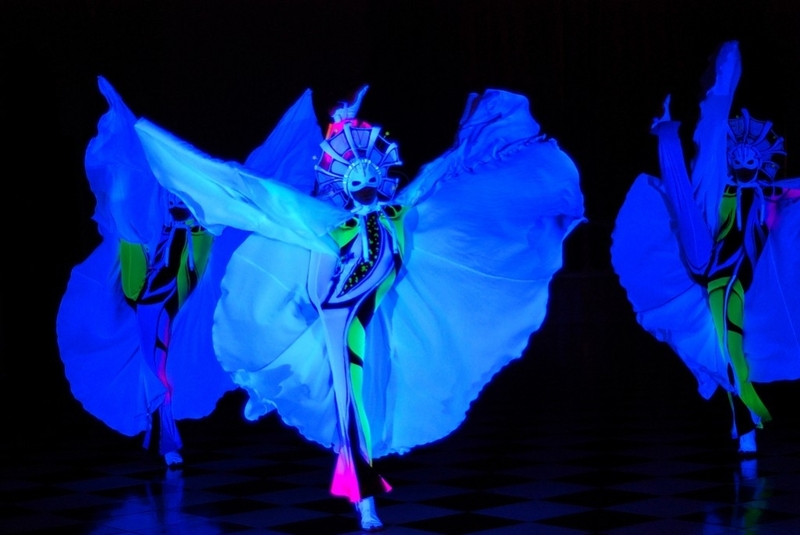 Light (LED) show can be attributed to the original genre on the edge of illusion and circus, it combines light ballet , dance with hoop, art, air exercises, and dance laser show. Sometimes this genre is called neon show . Performances of artists can be represented like separate acts for wedding in a restaurant or like club show . 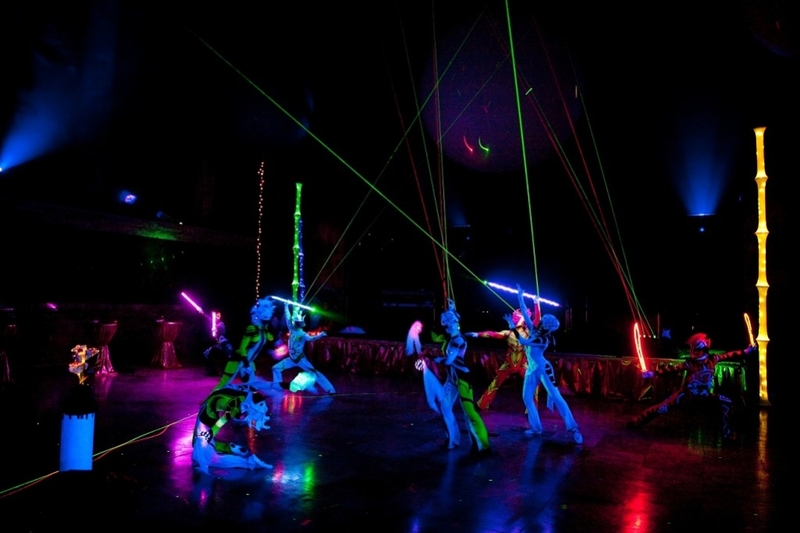 Also, light laser show can become a part of a pop program on the big stage or complete a concert line of a social event . Neon and fiery pyrotechnic show can take place in a premises, though fire show gets larger scale on the outdoor areas, and here the dance with the fire can smoothly flow into high-altitude fireworks and salute . Fire pyrotechnic show-ballet Fire show can be a separate 7-minute act and look like a romantic lyric dance with the fire and include elements of acrobatics in the spot-dynamic style .